Two Communist Party MPs have prepared a draft law that reintroduces property confiscation as punishment for crimes. They propose it for many cases, including instigation of hatred, organization of mass unrest and drug trafficking. One of the bill’s sponsors, Yury Sinelshikov, told business daily Kommersant that despite the fact that the law currently allows to confiscate property acquired by criminal means, in reality such measure is applied very rarely. The main reason being that once property is purchased it is very difficult to tell which funds were used for the acquisition. The MPs suggested a return to the Soviet-era practice of confiscating property regardless of the sources of money for its purchase – simply as punishment. They claim the measure would help to rein in the continued growth in serious violations of the law. The list of crimes that could carry confiscation as punishment if the Communists’ bill is passed includes bribery, drug trafficking, terrorism and public calls for extremism, high treason and also murder and grievous bodily harm. However, Sinelshikov noted that he was not sure that the bill would get support from other lawmakers. The government has given a negative review to the proposal. The head of the cabinet staff, Yury Prikhodko, wrote in the letter to the bill’s sponsors that several international treaties, signed and ratified by Russia do not contain direct demands for property confiscation as criminal punishment. He noted, though, that the main idea behind the bill had not raised any objections and the document simply required some perfecting. The head of the Presidential Council for Human Rights, Mikhail Fedotov, was more direct in his criticism. He likened the Communists’ bill to “looting homes,” said that it had no advantages over existing legal norms and added that in his opinion the sole purpose of the draft was to give its sponsors some media promotion. In 2011, Russia introduced material punishment for corruption crimes in the form of fines proportionate to the size of uncovered bribes. This was done as part of major pro-business liberalization of laws initiated by then-President Dmitry Medvedev. However, after Vladimir Putin was re-elected as president he criticized the move as ineffective and ordered various federal ministries to draft suggestions and plans to tackle the situation. 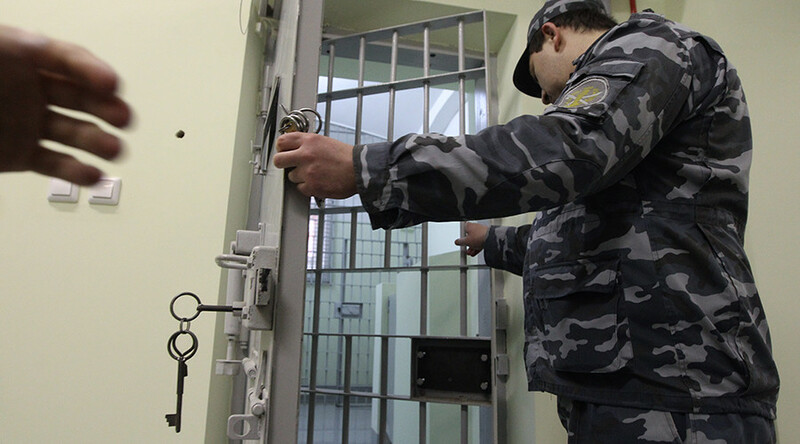 In spring 2014, Russian Prosecutor-General Yury Chaika proposed a bill making a prison term the sole punishment for anyone convicted of corruption, saying that compensatory punishment or fines were not a deterrent – one of the key points that provide the rule of law.